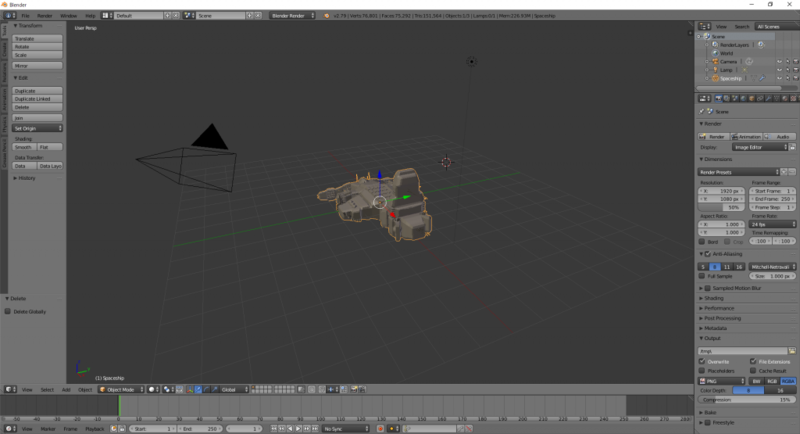 This time, I will show how to generate a quality spaceship with Blender, which is a 3D modelling tool, and import it to STYLY. We create it with the following three steps. The summary of each step is shown below. 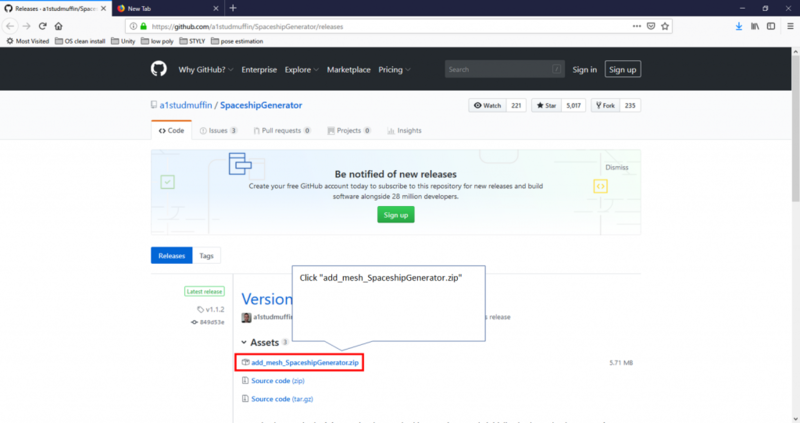 Download the latest version of ‘add_mesh_SpaceshipGenerator.zip’ from the link below. 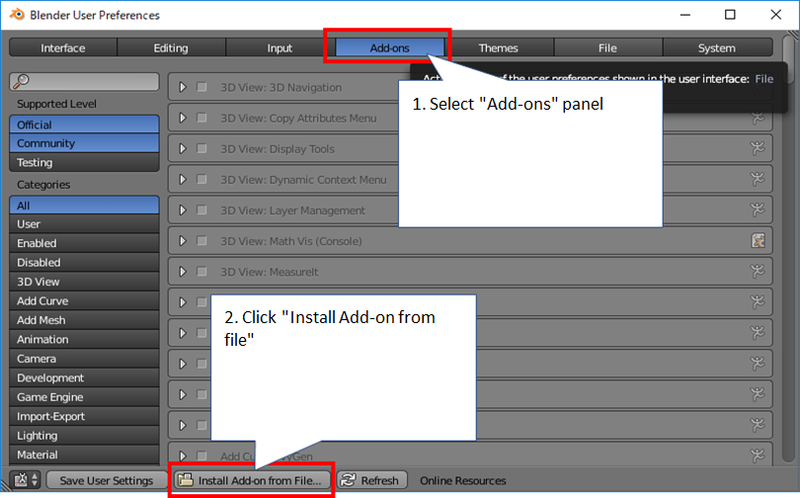 Open Blender and select ‘File > User Preference… > Add-ons’ and click ‘Install Add-on from File…’ at the bottom of the Add-ons panel. 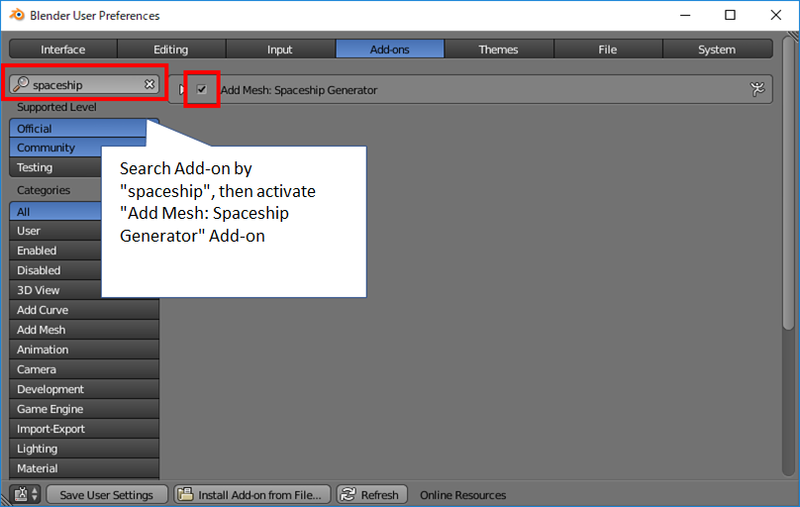 In the dialogue window displayed, select ‘add_mesh_SpaceshipGenerator.zip’ you downloaded earlier to install it. Open the ‘Add-ons’ panel again and search for ‘spaceship’. 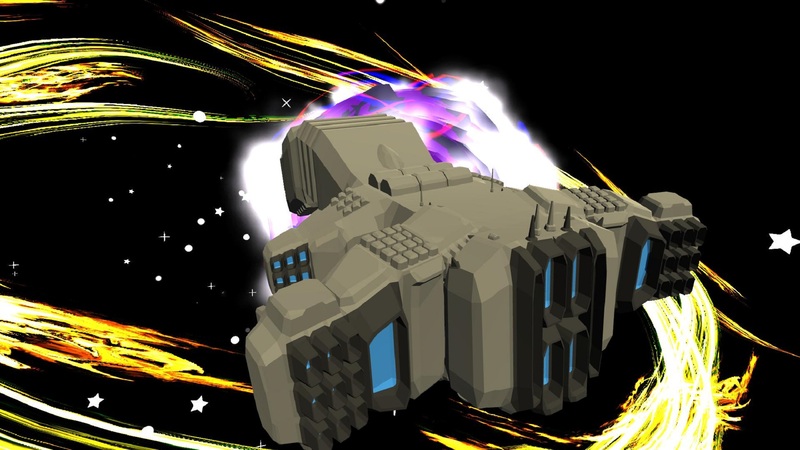 Check the ‘Add Mesh: Spaceship Generator’ box displayed. 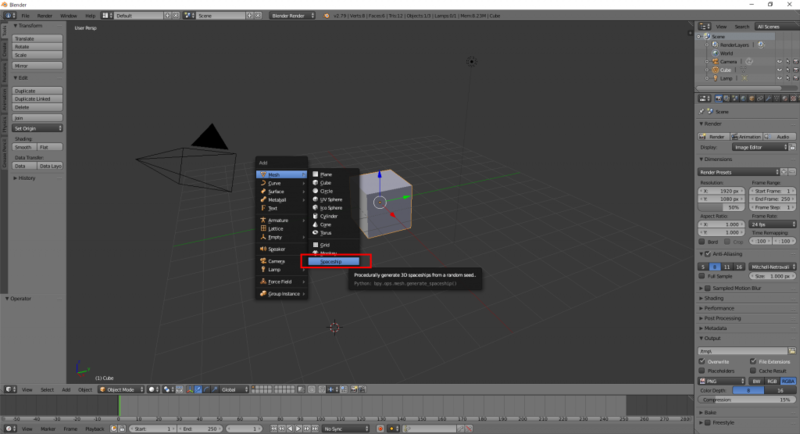 Go back to the main screen of Blender and open ‘AddMenu’ by pressing ‘Shift+A’. You would find the ‘Spaceship’ option under the ‘Mesh’ menu if the installation was successful. The installation of the add-on is successful. Run ‘Spaceship’ from the menu. It should generate a spaceship. A spaceship has been generated successfully. 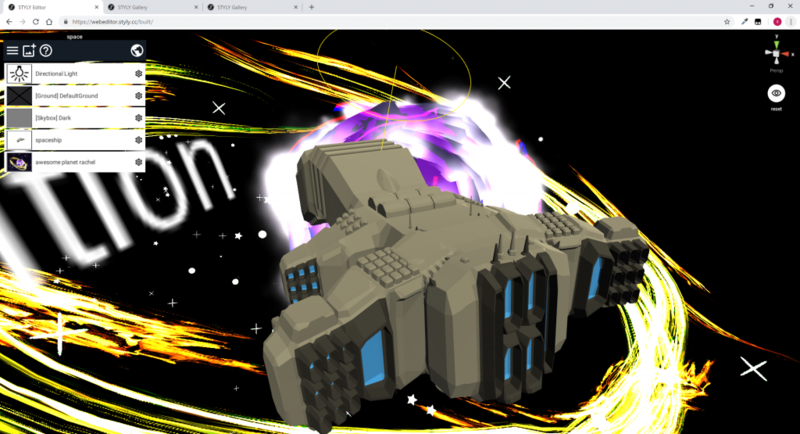 Right-click the created spaceship and select ‘File > Export > FBX(.fbx)’ to open the Export menu. You need to set the followings in the Export menu. 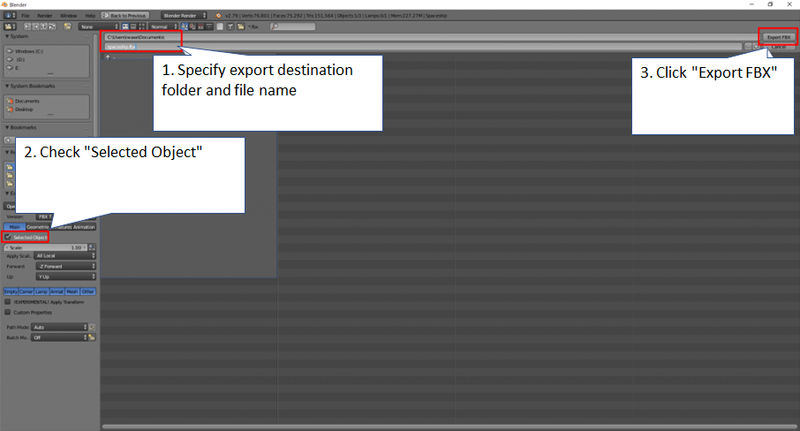 Enter the directory where you export the model and the filename. Check the ‘Selected Object’ box. 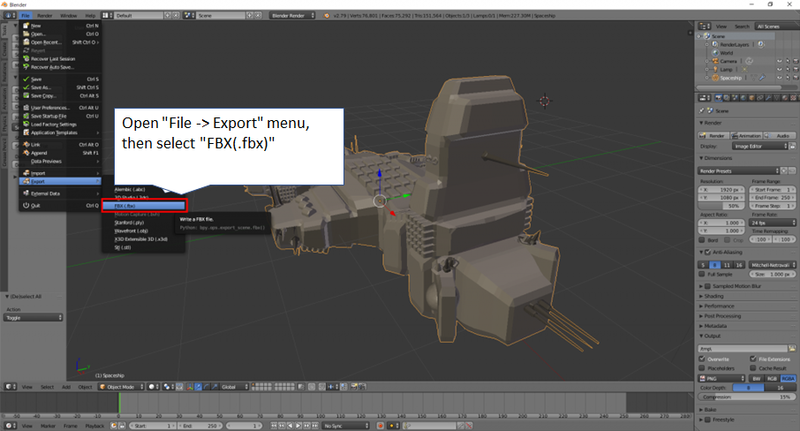 Finally, click the ‘Export FBX’ button to export. 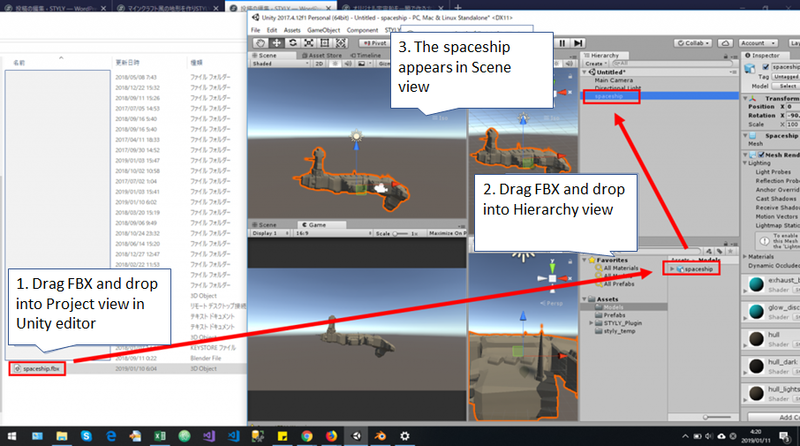 Import the exported FBX file into Unity and check if it’s displayed in the Scene. 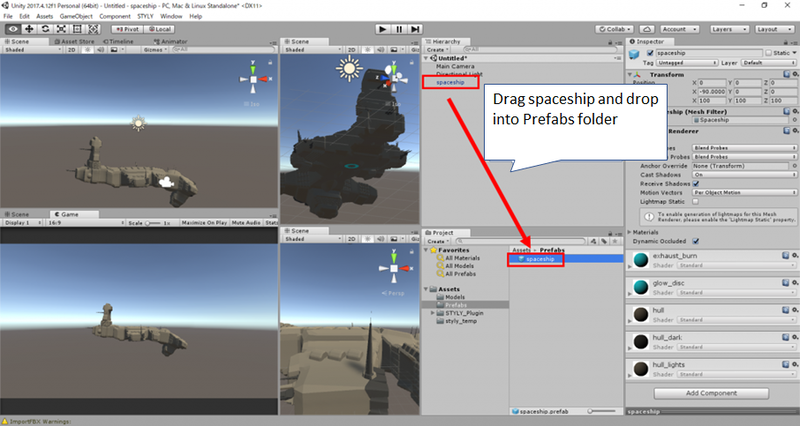 After checking the spaceship model, drag it into the ‘Prefabs’ folder. In order to upload the completed Prefab to STYLY, you need some preparations such as setting up the account, installing the plug-in. Please refer to the article below for the details. Alternatively, you can upload from STYLY WebEditor directly if you need to upload the FBX file only. Upload the FBX file from STYLY WebEditor. 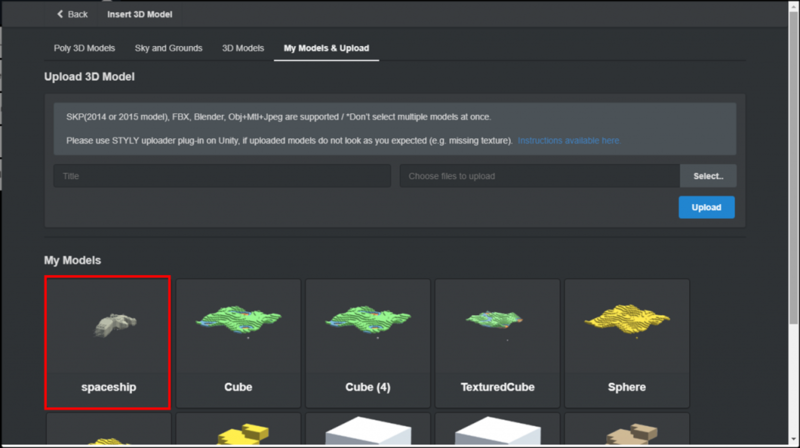 You can select the uploaded Prefab from ‘MyModels’ in STYLY Editor. That’s all for the explanation of how to create a quality spaceship in a flash. How about trying the automatic generation of various things?